This business centre, located in an attractive and important business area of Stuttgart, offers stylish office spaces for forward-thinking companies. Equipped with the latest technology and communication systems, these office spaces benefit from a professional and multi-lingual support team and several facilities, including parking areas. 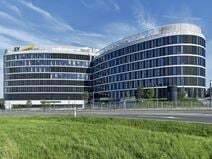 The offices are excellently connected to the airport and the major cities of Germany. Conveniently located in a dynamic business area of Stuttgart, this business centre offers offices of various sizes to accommodate any of your need. The offices are provided with spacious meeting rooms, advanced videoconferencing facilities and high quality reception and telephone services. They are surrounded by numerous companies and other amenities and are served by public transport and well connected to the airport. This impressive building consists of offices of various sizes, which can be tailored to accommodate any of your requirements. The basement offers secure parking and the fully furnished interiors include comfortable breakout spaces and a business lounge area, in addition to conference facilities and a professional reception area. Provided with numerous facilities and services, these offices benefit from a strategic location: surrounded by restaurants and shops, well connected to the major motorway junctions and the airport. This contemporary business centre is a state of the art and professionally equipped office building, providing a number of workspace solutions and packages to cater for client requirements through a variety of tenancy options. The centre provides a range of high quality facilities and equipment, numerous private and serviced office suites, virtual office provision and support staff available on site at all times to provide assistance with day to day needs of occupying clients. The surrounding area also plays host to many convenient transport links allowing access to the rest of the city of Stuttgart. A selection of offices of various size and large conference rooms are available for forward thinking companies in the centre of Stuttgart, in the vicinity of the major city's amenities. These fully furnished offices are provided with advanced videoconferencing facilities and with high quality reception and telephone services. Close to the main railway station, they benefit from excellent connections to the airport. The complex boasts its flexible and accessible workspace solutions. It offers a range of office options, enabling all types of business to find a solution that meets their needs. Whether you intend to work in Stuttgart for a couple of years or months, this space provides flexible arrangements to meet your needs. The business centre is also accessible 24/7 so meets the needs of any kind of business. Set within a modern building, these offices benefit from an excellent location, right along the most famous street in Stuttgart. These offices are available in various sizes and can be tailored according to your needs. They are provided with meeting and conference rooms, state-of-the-art technology and numerous other facilities. Close to the city centre, these offices are excellently served by public transport links and are surrounded by companies, offices, banks and a variety of amenities. The multi-storey office building provides a modern touch and is suitable for small to medium businesses looking to grow. The centre prides itself on offering a high standard of flexibility and offices can be fitted out to tailor your needs. Whether it’s a furnished or unfurnished office you need, you will be assisted and supported by an on-site management team to reach your full potential! The space boasts many convenient transport links, including easy access to a number of airports. Offices and meeting rooms are available to let in Stuttgart, in an easily accessible area, well connected to the city centre and the airport. They are provided with parking facilities, telephone services and a full range of services and facilities. This is a great, practical solution for businesses of any background, as the offices come unfurnished so that you can customise an adaptable space to suit your specific business requirements. Strategically located in the heart of Stuttgart, these modern office spaces are provided with a full range of high standard services and facilities, including parking facilities, lounge area and disabled facilities. They offer a highly professional working environment to your business and benefit from excellent connections to the airport and the railway station and are served by numerous public transport routes. 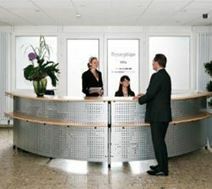 Stylish offices, furnished to a high standard and elegantly designed, are available to let in the heart of Stuttgart. These offices benefit from a wonderful view over the Castle and the surrounding area, which hosts numerous shops, cafés and offices. The building itself is iconic and easily recognisable. Within walking distance of the main railway station, this area is easily accessible and excellently serviced. 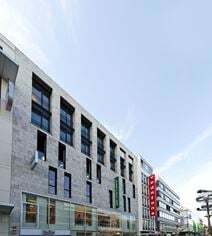 Located in the heart of Stuttgart, along one of the most famous streets of the city, this business centre offers offices of various sizes, surrounded by shops, restaurants, cafés and a variety of amenities. These offices are provided with virtual office service, high standard reception and secretarial services, offered by a high skilled and experienced staff. The offices are easily connected to airport and excellently served by public transport. 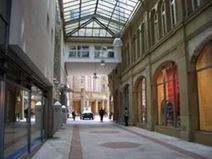 This business centre is located on the famous “Königstraße” in the most exclusive business location of the city. It is closely located to the palace square on the 6th floor of a newly built office building with a sophisticated and modern architecture. Modern, light-flooded and spacious offices are setting the ideal framework conditions for a successful work environment. Find the perfect office solution for your personal requirements. With a great central location, this centre is within a sleek and modern building just a couple of minutes from Schlossplatz, where the museums and main shopping street is located. Spaces can be tailored to individual requirements, with an excellent, sleek interior design. This is the ideal workspace solution for companies of any background, seeking a space that enhances convenience and practicality. Just a short drive away, there is the impressive Wilhelma Zoo, and the beautiful Rosenstein Park. Flooded with light, this well designed 102m² space is just 10 minutes from Stuttgart City Centre via the A81 Highway. Rental fee, including heating, starts at €1640 per month, while around the building there is an abundance of parking spaces for your convenience. In addition, your business can also benefit from the centre's 24 hour access, allowing companies to work late hours.There is a movie theatre just across the road links (A81, 295, E41). 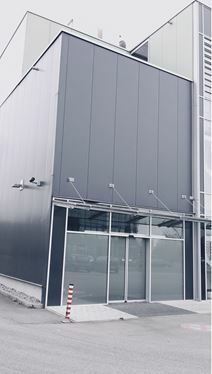 A selection of offices of various sizes is available to let in the north part of Stuttgart. These flexible office spaces can be tailored to accommodate any of your needs. Provided with a full range of facilities, they benefit from high quality secretarial and telephone services offered by a professional team assisting your business in daily activities. These excellently supported office spaces are conveniently surrounded by leading companies, served by various bus routes and close to the main railway station. Here, allocated parking spaces will be available and employees will have 24-hour access to the office. In addition to standard offices, this spacer features a professional meeting or seminar room which can accommodate between two and 20 attendees, making it ideal for presentations and client meetings. A virtual office service is also available, allowing businesses to set up a Stuttgart address for their German operations. Located on the third floor of a contemporary building in one of the city"s busiest districts, this location is ideal for connecting with local businesses from finance, insurance, technology and more. Also available is secure underground parking. Your business can also benefit from the centre's videoconferencing facilities, shared internet and IT support, ensuring that you stay well-connected and keep working efficiently throughout working hours. Right by the airport, this sleek and modern business centre is perfectly located for the travelling business professional and provides a choice of three floors of bookable conference areas, co-working and flexible office space. This business centre offers an office world that, with its high functionality and sleek modern design, encourages and supports a productive and positive work day. Just a short drive away, you can find Messe Stuttgart, an excellent exhibition and trade centre. The excellent infrastructure and fantastic services at this finely located centre will increase the productivity levels of your working day. 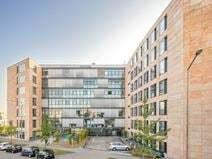 This site is situated directly by the Fasanenhof district, near the airport and the Neue Messe trade fair, with a sought-after address that will establish a prestigious presence for your business. Here, you can benefit from 24 hour access/security, IT support, reception services, administrative support, catering, telecoms, and easy access to public transport links. Set within a recognised business park this centre offers open-plan offices and spacious, easy-to-book meeting rooms. Ideal for a business of any size, from start-ups to existing companies looking to expand you will be close to the city centre and a 40-minute drive from Stuttgart Airport. This is especially ideal for companies with both local and international clients. This turnkey solution also provides IT support so that your systems can remain well connected throughout your occupancy. This business centre consists of offices fully furnished and immediately available at a very convenient price. Provided with high quality reception services, offered by an experienced and professional support team, these offices represent an ideal working solution for companies and entrepreneurs. They are equipped with state-of-the art technology, videoconferencing facilities, lounge areas and a full range of other services. Located in the industrial district of Stuttgart, they benefit from various transport links. Located to Österreichischer Platz subway station, this centrally situated office space provides great views over the city and offers a choice of 12 modern offices and additional coworking spaces, all fully furnished with desk, chair, desk lamp, sideboard and cabinet. This is the perfect turnkey solution for companies of any background, and for those that value convenience and practicality in their workspace.